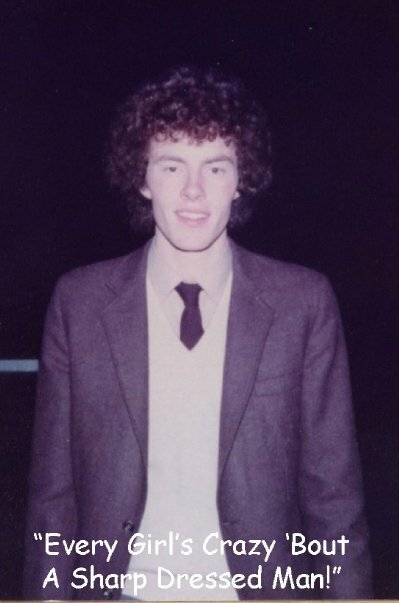 September 1982 and this 17 year old hopped off the bus (this was unusual because every other time that I went to work it was on my trusted bicycle – then again it was day one of the rest of my life!) on The Grand Parade in Cork and headed to work for the first time to Barber & O’Leary, Financial and Management Consultants, on the South Mall no less! To celebrate this special occasion I had a new brown blazer with a choice of different trousers, each a different shade of brown or beige to complete this classic ensemble. The “piece de resistance” was my curly afro, while quite unique was probably a talking point for many! Despite the grand title the firm was really a small to medium sized accountancy and audit firm, but the partners did have some investments in their own projects, which we all ended up working on at some point. While I was confident I could make my mark on the business world, I was also quite nervous – I didn’t even do accountancy in secondary school! Jumping right in at the deep end, that September I started 5 fabulous years working by day and studying for my accountancy exams by night. We dealt with clients of all sorts, big and small including my favourite, Mrs O’Sullivan who had a right skip in her step after her beloved husband passed away .. The glamour of her all of a sudden! The amazing thing with accountancy (a profession often mocked quite unfairly) is that immediately because you are dealing with peoples finances and their “financial stories” (I always had a romantic viewpoint that the accountant is actually a financial storyteller), you are taken into a position of trust, even at the age of 17! This is a privileged position to be in, considering that employees could be working in that business all their lives and never be in that position of trust and influence that the young accountant can often find themselves. Wow, I absolutely loved it. Many people assumed that I must have loved working with numbers and that is why I did accountancy .. Nah , I loved the idea of being in business and I reckoned this was going to be the best business degree of all – day in day out we worked on all sorts of clients, doing bank reconciliations, sorting out total messes at times, preparing accounts (storytelling, I tell you) listening, learning and advising. 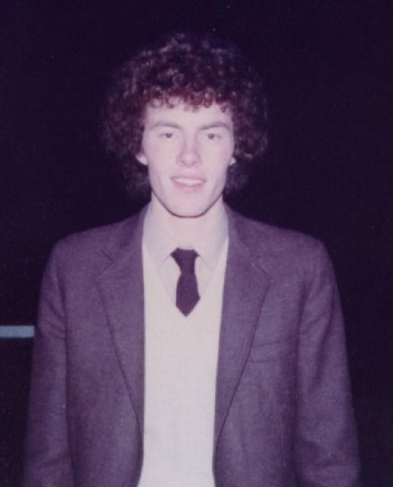 My god, I learned so much from one of the partners of the firm, the fabulous James Barber, who was an absolutely brilliant boss (I would love to catch up with him some time and find out what he really made of the curly haired 17 year old!) and I tried my best to avoid the other partner , the unpredictable Sean O’Leary, who mostly didn’t seem to care at all and the odd time took too much interest. The crew inside there were great but I must admit I learned the most from the enigmatic Christopher “third degree” Burns who was an erratic but brilliant accountant, a chancer most of the time but the only one in my view who could handle our biggest bully of a client Mr B (unfair to name the man but he shares a surname with my mums side of the family – maybe we are related? Scary thought.. ). I still tell people stories about Third Degree to this day – a total and very colourful legend! Robert Arnopp from Bandon, shared the same love of music as me and we swapped albums continuously throughout this time. I later met one of my best buddies Brian Sexton, who joined the year after me and later worked with me again in the drinks industry. Brian famously noticed the very attractive secretary, Bernadette Dilworth on his first day at work (“cop on Brian” she is out of our league were my clear thoughts) and ended up marrying her years later! For some reason Brian and I started to call each other “Bob”, which we still do to this day. Why? I have no idea .. We managed to have some of the best of laughs out on different jobs that we worked on together – we were just kids, behaving as professionally as possible, but at times we just couldn’t control the giggles! These were my formative years, I worked hard and studied hard, I learned incredible skills that have always stayed with me and I ended up leaving the practice five years later as a young qualified accountant. I was asked to stay on but I needed to discover more about the world of business! I started at £35 a week, just like any other apprentice (I was making more than this on my newspaper round, which I continued out of necessity!) and genuinely loved every minute of it except for the 3 months we did the most boring study in the whole world for the Cork Harbour Commissioners, which was one of those times I wished Sean O’Leary would take less interest! Regarding our huge pay packets, Robert had this great story of going to the bank and lodging his monthly pay check. He knew the bank teller who commented on how much he was being paid, very impressive indeed. He didn’t have the heart to tell her it was a months pay and not a weeks! To Mr Barber, Third Degree Burns, Robert and Brian thanks for the fabulous business degree, which always stands to me and to be honest, the really great time!